Discussion in 'iPhone and iPad Games' started by binlabu, Jul 23, 2015. Get ready for the most adventures and action game of this era. 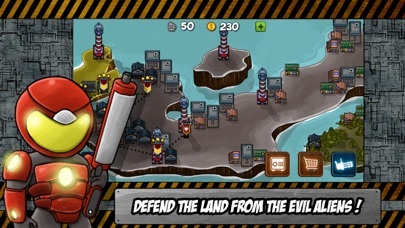 Aliens Invasion: Defense and Guard the Earth is a fun and exciting strategy games. Aliens are threatening the Earth once again with their massive numbers. You must defeat the aliens! This is ultimate strategy war against the aliens. You cannot win this war without a proper strategy. Functions and features of this game are really awesome. 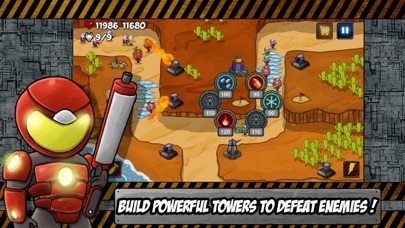 In this game, you have all the weapons and ammunition which you will need to battle with these giants. You need to stop them from passing through the roads. They are moving toward the cities, so your job is to stop them entering the city. This ultimate game which contains 24 levels total. In every level, there are a different number of waves of the aliens. Every single wave has numerous aliens; you need to kill all of them. Initially, you would have knife and rocket power. Once your power is fill just press the knife and press the road where you want your warrior to be. Same with the other weapons. You will have dangerous weapons such as Dynamite, Ice Bomb and Laser etc. Use them when you will be in problem. You can even buy this weapon with coins you will earn. Evens aliens have different kind of weapons so the fight would be not easy. In the laboratory section, there are 6 different turrets available: • Machine Gun: Machine gun is used in ground battle; it is deadly for the aliens on ground. • Ice Bunker: This is really important weapon in ground battle, it will slow down the enemy and then you can easily kill them. • Flamethrower: This weapon is used when you have large number of alien’s infantry in front of you. Attacks several enemies at once. • Rocket Launcher: This machine is really useful when it comes to the flying objects and sea objects. • Tesla Mech: This weapon is highly effective on for the vehicles. You can attacks several units at once. • Laser Tower: This is really deadly weapon. Using this you can attack one unit at a time. Initially, you can use Machine Gun and Ice Bunker. You need to play this game more and more to unlock other turrets. You don't need to mortgage the house to play this game. You can play it anywhere, anytime. It's Free so download it now and help defend the galaxy from this band of invading aliens. 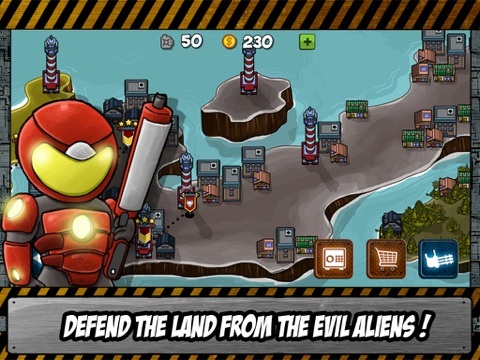 Features of Aliens Invasion: Defense and Guard the Earth: - This is a strategy based game so you need a proper strategy to battle with aliens. - Do not take this battle easily because your enemies have different skills and weapons. 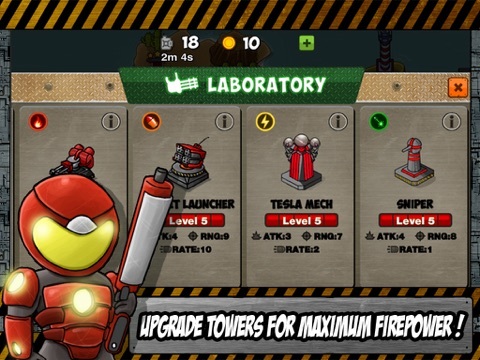 - There are 6 different turrets which you can choose to play, you need to unlock them. - This game consist 24 levels which mean your fun will never end. - This game has addictive game play, you would get addicted to this game. This game is a Space Invaders type with more modern game play. The fate of humanity now depends on you! Mow them down and stay alive! 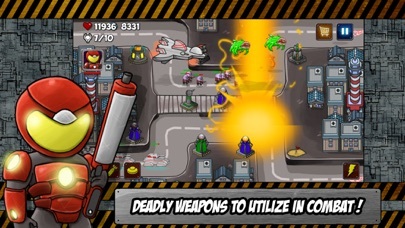 Gather your ammunition, because the aliens are living and you are the only one that can stop the invasion. Get ready for the most adventures and action game of this era. 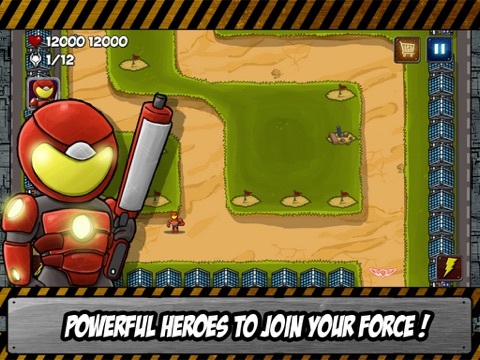 Alien Invasion Guard the Earth is a fun and exciting action shooting games. Aliens are threatening the Earth once again with their massive numbers. You must defeat the aliens! This is ultimate strategy war against the aliens. You cannot win this war without a proper strategy. Functions and features of this game are really awesome. 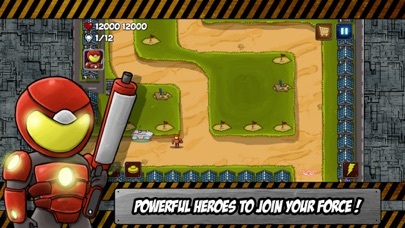 In this game, you have all the weapons and ammunition which you will need to battle with these giants. You need to stop them from passing through the roads. They are moving toward the cities, so your job is to stop them entering the city. This ultimate game which contains 24 levels total. In every level, there are a different number of waves of the aliens. Every single wave has numerous aliens; you need to kill all of them. Initially, you would have knife and rocket power. Once your power is fill just press the knife and press the road where you want your warrior to be. Same with the other weapons. You will have dangerous weapons such as Dynamite, Ice Bomb and Laser etc. Use them when you will be in problem. You can even buy this weapon with coins you will earn. Evens aliens have different kind of weapons so the fight would be not easy.  Machine Gun: Machine gun is used in ground battle; it is deadly for the aliens on ground.  Ice Bunker: This is really important weapon in ground battle, it will slow down the enemy and then you can easily kill them.  Flamethrower: This weapon is used when you have large number of aliens infantry in front of you. Attacks several enemies at once.  Rocket Launcher: This machine is really useful when it comes to the flying objects and sea objects.  Tesla Mech: This weapon is highly effective on for the vehicles. You can attacks several units at once.  Laser Tower: This is really deadly weapon. Using this you can attack one unit at a time. Initially, you can use Machine Gun and Ice Bunker. You need to play this game more and more to unlock other turrets. You don't need to mortgage the house to play this game. You can play it anywhere, anytime. It's Free so download it now and help defend the galaxy from this band of invading aliens. 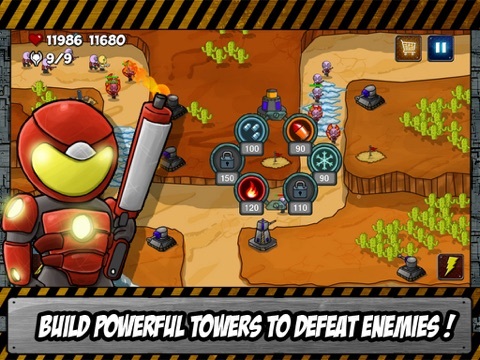 - This is a strategy based game so you need a proper strategy to battle with aliens. - Do not take this battle easily because your enemies have different skills and weapons. 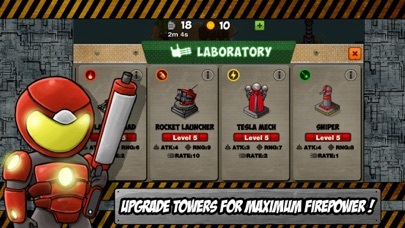 - There are 6 different turrets which you can choose to play, you need to unlock them. - This game consist 24 levels which mean your fun will never end. - This game has addictive game play, you would get addicted to this game. This game is a Space Invaders type of an Android arcade game with more modern game play. The fate of humanity now depends on you! Mow them down and stay alive! 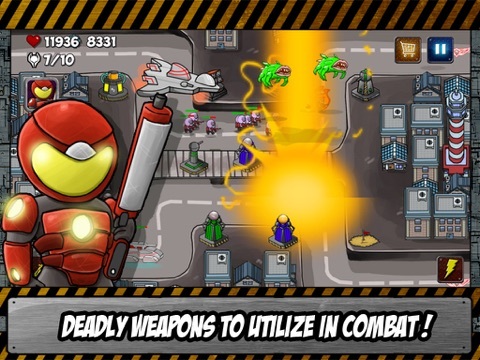 Gather your ammunition, because the aliens are living and you are the only one that can stop the invasion.